It was a very prudent move for Pakistan to have Gwadar host this year’s Asian Parliamentary Assembly instead of any other of the country’s cities because Islamabad showed off the progress that’s been made thus far on CPEC, encouraged its fellow institutional members to feel like they have a stake in its future success, and opened their eyes to the peaceful state of affairs in Balochistan. 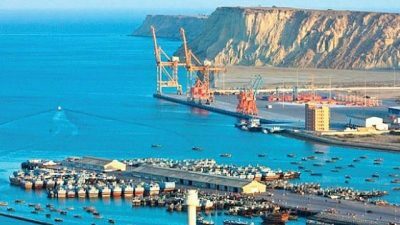 This year’s Asian Parliamentary Assembly (APA) just took place in the southwestern Pakistani port city of Gwadar, the terminal point of the Silk Road’s flagship project of CPEC as well as its mainland-maritime pivot, which importantly allowed Islamabad to show off the progress that’s been made thus far on this game-changing initiative. Around 100 parliamentarians from 26 countries such as Russia, Iran, and Saudi Arabia arrived to participate in the event, which was the first high-profile multilateral one of this level to take place there. The author suggested back in Spring 2017 during a speech at Pakistan’s National Defence University (NDU) that the country prioritize hosting large-scale events in this growing connectivity nexus in order to promote CPEC, proposing at the time that a brand-new function one day be unveiled provisionally called the “Gwadar Gathering” for bringing together a wide array of academic, political, military, business, and civil society figures. The two-day APA meeting can therefore be seen as an organizational and logistical precursor for preparing Gwadar to host even larger functions in the future such as the unique one that the author suggested. It’s also relevant in and of itself not only for the work that the organization carried out during this time, but because of the soft power goals that Pakistan advanced as well. CPEC recently secured significant Saudi backing during Prime Minister Khan’s visit to the Kingdom in mid-September which was seen as proof of this project being the “Zipper of Eurasia” in at least connecting West Asia with East Asia via Pakistani territory, let alone of its larger potential in ultimately becoming the “Convergence of Civilizations” in Afro-Eurasia. These geo-cultural integrational possibilities could powerfully debunk Huntington’s thesis about the imminence of a so-called “clash of civilizations” if successfully actualized and thus stabilize the emerging Multipolar World Order. Accordingly, it only makes sense that Acting President Sadiq Sanjrani emphasized the angle of CPEC’s Asian integrational vision and also took the time to talk about Pakistan’s many sacrifices in the War on Terror. This latter part of his remarks drew attention to the peacemaking achievements that were made in the Balochistan region over the past couple of years that enabled Pakistan to guarantee the security of CPEC and therefore make APA’s Gwadar meeting a reality. The intention behind doing all of this was to make the visiting dignitaries feel like their countries have a stake in CPEC’s success, but it also had another motivation to it as well. Showing the foreign parliamentarians the developmental progress that CPEC has made in Gwadar and the entire Balochistan region, as well as Pakistan’s future plans for them, exposed the fake news narrative that the supposedly “hopeless plight” of the native Baloch has given rise to a “rebellion” as nothing more than a debunked infowar narrative spread by hostile forces. The fact of the matter is that approximately 100 visiting parliamentarians saw that CPEC is delivering tangible benefits to the people of Balochistan and that the Pakistani state has successfully defeated terrorism there, though the region nevertheless remains in the crosshairs of Hybrid War precisely because of its strategic significance vis-à-vis the “Zipper of Eurasia” concept and its larger “Convergence of Civilizations” one. Having said that, there should be no doubt in anyone’s mind that the rare attacksthat still occur there every once in a while are due to foreign-backed terrorist infiltrators and not indigenous “rebels”, which former separatist leader Dr. Jumma Baloch proved to the world since switching sides, exposing how India hijacked his people’s struggle, and launching the Overseas Pakistani Baloch Unity organizationfor rehabilitating his remaining wayward compatriots. As such, it can be said that Gwadar’s hosting of the latest APA meeting was a success because it informed 26 countries’ representatives of CPEC’s grand strategic importance and the peaceful state of affairs of Balochistan.